Sergeant John Lutton was born 10 June 1890 in County Armagh, Ireland, son of Tollerton Lutton and Rachel Wells. In April 1904 he immigrated to Canada with his parents and three younger siblings and settled in Wingham, Ontario where his father was a farmer. By February 1916 he was living in Toronto as a “stove mounter” when he enlisted with the 198th Battalion, CEF. He went overseas with the battalion and in February 1917 wrote a long letter to his future wife, while training in England. By June though he was in a military hospital suffering from a “dangerous illness” later diagnosis as a form of meningitis. By the fall he had recovered considerably but was still sent home to Canada in December 1917 as unfit for service. 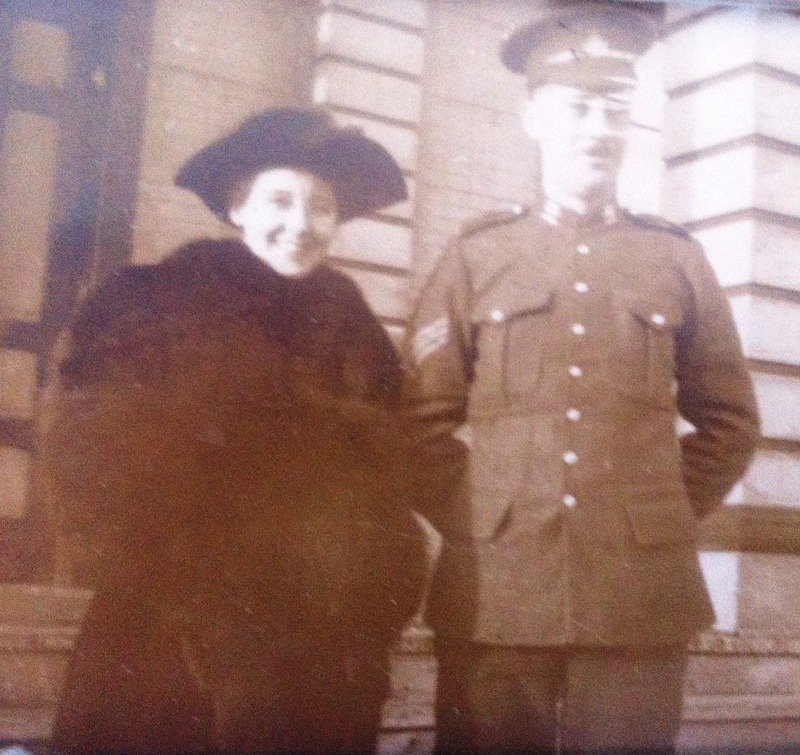 He was finally discharged from the CEF at the Guelph Military Hospital 21 March 1918. On 31 March 1919 he married Annie Sadie May Deyell and a year later had a daughter Merry, followed later by Kathleen (Kae), and Norine. Little else is known of him after 1919 until his death 6 December 1948. 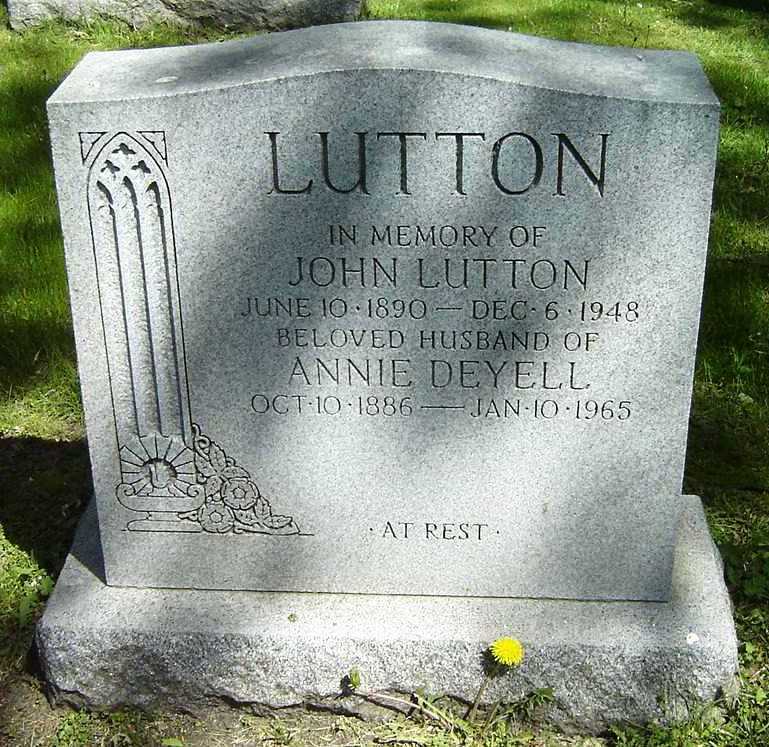 His wife died in 10 January 1965 and both are buried in Park Lawn Cemetery.